Newly built Fort Wilderness train at MAPO in Glendale CA. 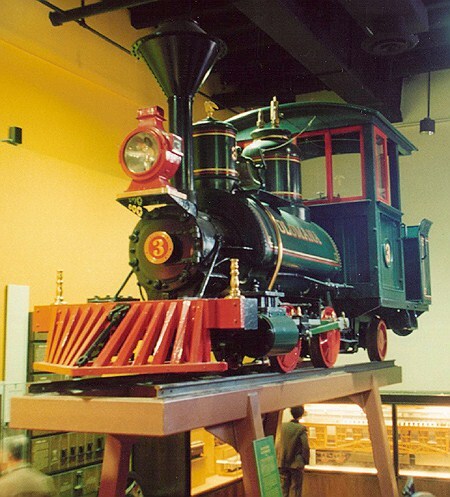 The Fort Wilderness locomotives were modeled after the Forney 0-4-2T built by Baldwin Locomotive Works of Philadelphia. Baldwin introduced these locomotives in 1882 to transport sugar cane from the fields of Hawaii to the refineries. Both Gerry Best and Ward Kimball had purchased and restored these types of engines, and the imagineers at Disney took notice of this. These small steam engines would navigate the campground route well due to their compact design. It's now on display at the Strasburg Railroad Museum in Lancaster PA.
Disney had Robert McDonnell design the overall look and graphics for the cars and engines. Disney decided to build 4/5 scale engines and coaches from the ground up. The Fort Wilderness Line Railroad locomotives were built in 1972 by MAPO, a division of Walt Disney Productions. Several modifications were made to the locos by Disney to increase operating efficiency and give the locos a nicer look. Most notably is the addition of a pony truck, over-sized headlight, and a squared-off saddle tank. Some of the operational modifications include a switch from a coal/wood burner, to diesel fuel with an electronic fuel pump. Gerry Bests Olomana. 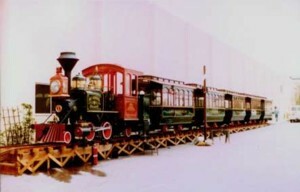 Disney based the Wilderness trains on this type of loco. 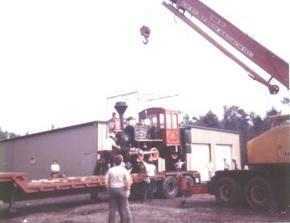 In 1973 the completed trains were transported on flat bed trucks from Glendale California to Orlando Florida. 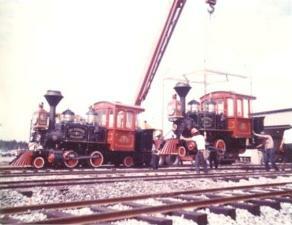 Once the trains arrived at Fort Wilderness they were unloaded from the flat bed truck via crane. 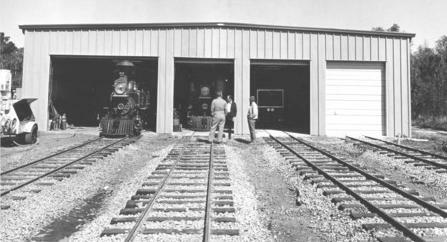 The trains operation was tested and details refined before opening day in 1974.